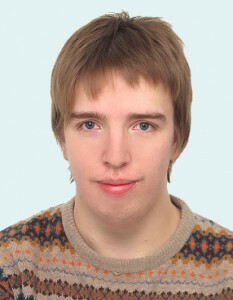 Hi, my name is Pavel Gribov. I’m fullstack developer and I’ve experience in IT since 2003. I live in Saint-Petersburg, Russia (UTC+3). SQL Lite (from the 3rd version). Experience in working with SQL Server includes shaping of inquiries in order to optimize the narrow parts, security configuration on the level of columns, administration over maintains plans and backups, including testing of efficient base restore in case of supernumerary situations. Seven-year experience in formation of distributed applications (DB + servers with client API + clients (thin and thick)) on the platform .net. Interaction between program components is realized with WCF (both REST and SOAP). Experience in developing a system that administers users’ personal accounts. Money is deposited through electronic payment systems, check cards or by invoicing a bill to a legal person. Then users spend deposited money on services, provided by the system. All financial operations are realized transactional, taking into account ACID requirements. In the process of development, the set of requirement according to PCI DSS standard was considered. Experience in forming a team from scratch and administering it during a seven-year period. There were seven people in the team, some of them were in the staff (programmers, helpdesk) and others — freelancers (designers, imposers). Experience in administering employees of «adjacent» profile – journalists, promoting the project. Successful experience in negotiating with purveyors and counteragents in order to strike deals on the most advantageous for the company conditions (reduction of work cost, acceleration of deliveries, and work without prepayment). While working, I reach the goals in the most optimal way, changing the technological platform if necessary (for example, inserting AngularJs in addition to jQuery) with essential refactoring. I aim at manual labor minimizing, introducing autogenerating samples, macro project and similar elements. I value the relationships with colleagues and create a comfortable and productive working atmosphere.